I have no training as a writer and the story Coming Through the Fog was an emotional, all consuming, financially training account that played out over a 13 year process from diagnosis to Functioning Recovery and independent living. I have 3 storage containers with information, medical, psychological, educational and the training that I took to understand the disability and how my daughter presented. Heather’s Occupational Therapist, Sue Kratz, continued for years to encourage me to write Heather’s story and I had many failed attempts. In the spring of 2012 a good friend of mine, Cheryl “Smitty” Smith a 30 year retired school teacher familiar with Heather’s story and my inability to get it on paper, gave me a cassette tape recorder with a bunch of tapes and said, “Tell me Heather’s story. Nine months later, Coming Through the Fog was published. Though it is Heather’s story, we walked this journey together. She understands how difficult the journey was and feels as strongly as I do about the need to reach out and help other families. Reading Coming Through the Fog will make it easier for others to navigate the world of autism spectrum disorders and provide tools inspiration and hope for their journey. A mother tells the journey of her daughter’s recovery from Autism and Sensory Processing Disorder to Functioning Recovery and independent living, giving tips to parents on how to navigate the medical and educational domain. This story is an example of the unique obstacles facing a parent raising a child with Autism. The challenges they face getting supports. What is Sensory Processing Disorder, CranioSacral Therapy and Bio-Medical Therapy, and what roles they play on the road to Functioning Recovery and independent living? See actual projective trials pertaining to sensory supports. Is educational discrimination the reason there is difficulty getting help in school? As this story unfolds it provides useful tips to other parents to help them on their journey with their child. 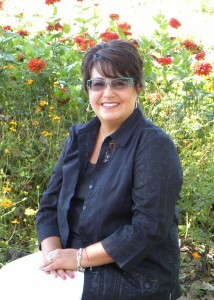 This story is notable because this mother’s daughter was successful overcoming numerous obstacles while providing useful tools, inspiration and hope to others. You can view her website at http://www.comingthroughthefog.com. 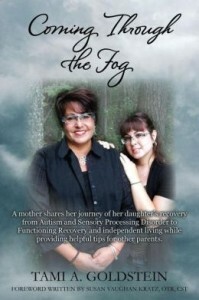 Tami’s latest book is the autism awareness book, Coming Through the Fog.